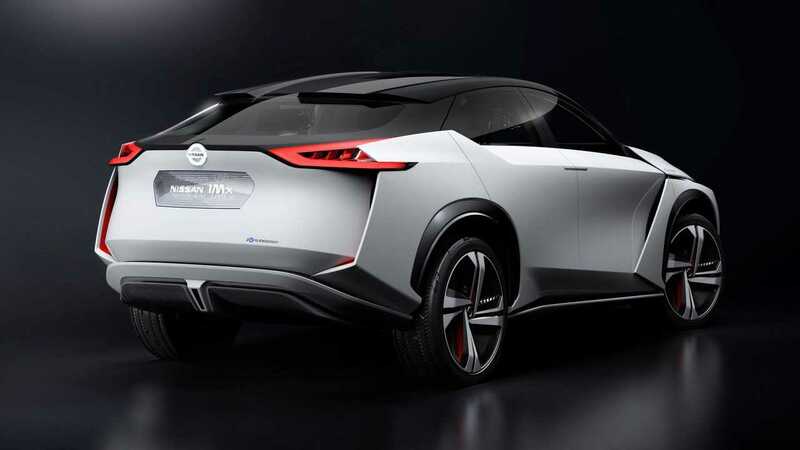 The Nissan IMx is an all-electric crossover concept vehicle offering fully autonomous operation and a driving range of more than 600 kilometers. The two electric motors push out a combined 430 horsepower and a beefy 516 lb-ft of torque. 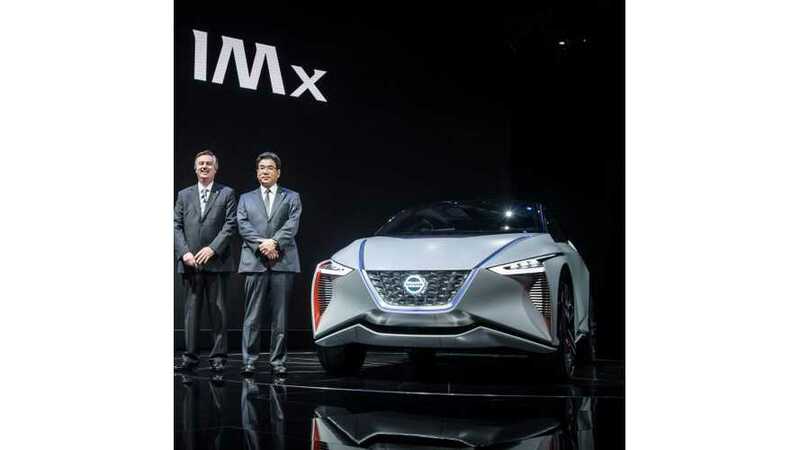 The rumored Leaf-based electric SUV is finally here as Nissan has unveiled the IMx concept today on the dawn of the Tokyo Motor Show. Fan or not of the exterior design, there’s no denying the zero-emissions showcar has a bold appearance with suicide doors and an angular body featuring a fresh take on the corporate V-motion grille. The floating front and rear fenders lend the concept a rather unique appearance and it also looks quite interesting when viewed from above thanks to a massive panoramic glass roof stretching from the front to back. The concept’s predominantly pearl white body is combined with a vermillion accent color and contrasted by the black pillars and roof. Inside, it’s typical concept business as the four-seat IMx adopts a minimalist layout without any physical controls. An expansive OLED display serves as the instrument panel and sits above a wood grain-patterned display that extends onto the door panels. Nissan says it has used a 3D printer for the frame of the seats, which boast a laser-etched katanagare diagonal pattern and have a kumiki (Japanese interlocking wood puzzle) motif on the headrests. As for power, the electric SUV is equipped with two electric motors that generate a combined output of 430 horsepower and a beefy 516 pound-feet (700 Newton-meters) of torque. Riding on Nissan’s latest EV platform, the IMx has a completely flat floor to enable a spacious interior and a low center of gravity that should help out with the handling. The unspecified high-capacity battery pack has enough juice for a maximum range of more than 373 miles (600 kilometers)* between charges, so range anxiety shouldn’t be much of an issue considering an average gasoline-powered vehicle can cover roughly the same distance. Editor's Note: A word on the stated range. As this debut is from Japan, this number is based on the JC08 standard...in other words its far too optimistic. As a point of reference the new 2018 LEAF is rated at 400 km/248 miles on the same system, but in reality is rated for 150 miles/240 km. 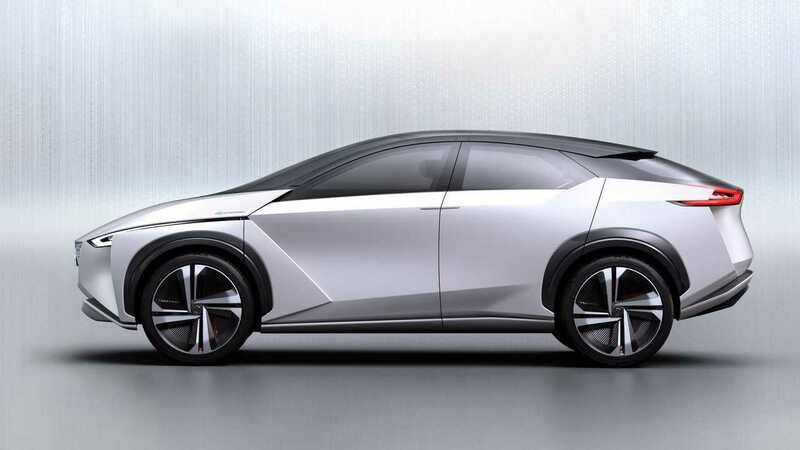 In other words, this concept is likely powered by Nissan's upcoming ~60 kWh battery, and has a real world range of some 225 miles/360 km...still pretty decent! Much like other concept cars, the IMx features a highly advanced autonomous driving system that will handle all the work. When in ProPILOT drive mode, the steering wheel automatically hides inside the dashboard and the seats are all reclined to boost comfort while the SUV drives itself. Switch to manual mode and the steering wheels pops up and the seats revert to their original position. While the IMx is billed purely a concept (much like the IDS Concept was to the updated 2018 LEAF), an all-electric SUV will be arriving from Nissan by 2019. We imagine, if one deletes all the bells and whistles (like everything found in the interior and the funky doors), this is the basic shape and blueprint for that offering.